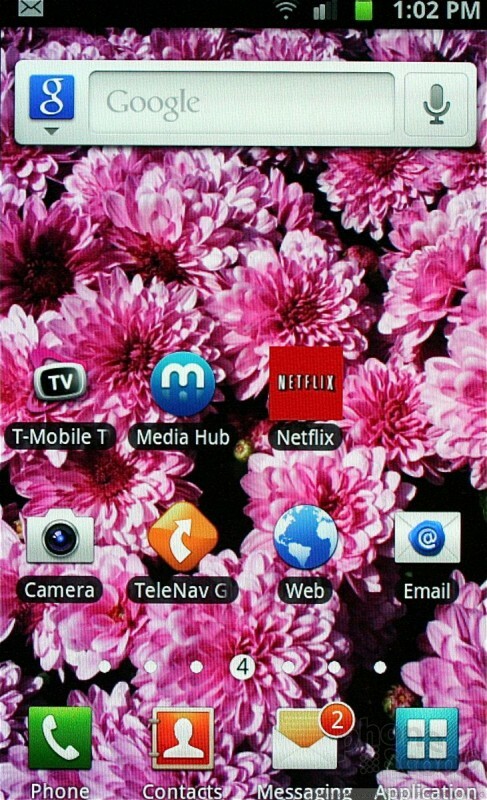 The Galaxy S II runs Android 2.3.5 Gingerbread with the newest version of Samsung's TouchWiz. Samsung has reduced the intrusiveness of the latest TouchWiz when compared to past versions. The main menu looks and acts just like other Galaxy S II phones sold by AT&T and Sprint, though with the obvious T-Mobile customizations and software. 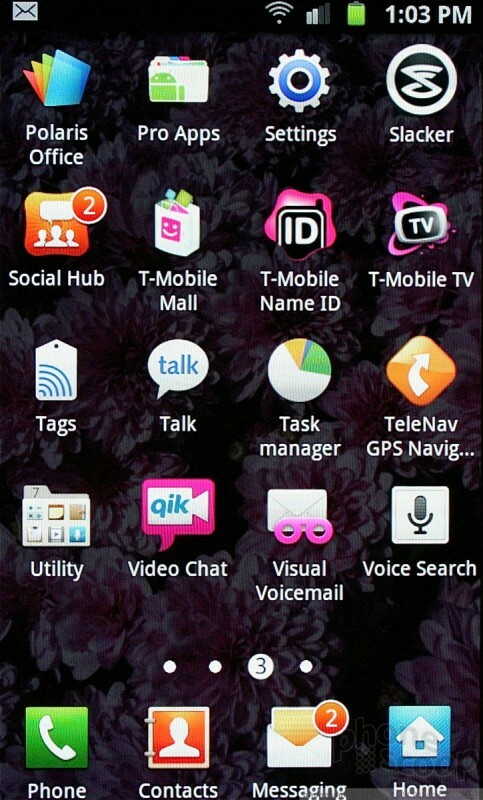 The Galaxy S II has seven home screen panels (adjustable down to three if you wish), and most of them are cluttered up with (too many) app shortcuts and widgets out of the box. I would expect most users to do some serious rearranging when they get theirs up and running. 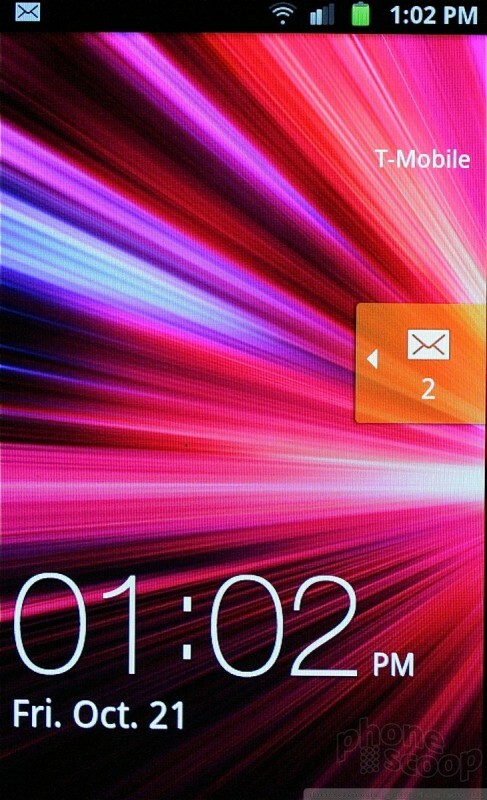 The lock screen includes base-level notifications for incoming messages, such as texts, calls, emails, and so on. You can jump directly to those unread missives by swiping the appropriate lock screen icon. The notification shade also has shortcuts for controlling the radios, such as Bluetooth and Wi-FI. 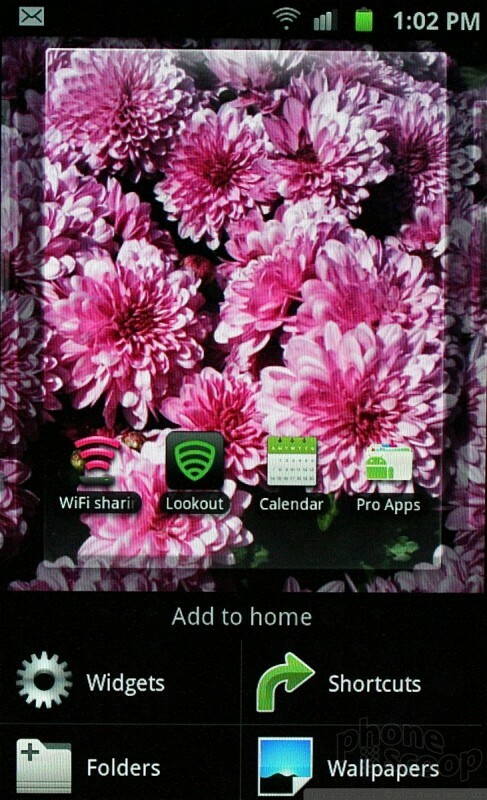 The newest TouchWiz has a handy widget for collecting information on the home screen panels. It can be used to place all sorts of content from the web on the home screens, including RSS feeds, weather, news, email, social networks, and so on. The design of these widgets is clean and crisp, and they don't slow down the Galaxy S II overall. The coolest TouchWiz feature is the ability to adjust all the home screens at the same time. Pressing and holding the home screen brings up a new dashboard that lets users customize each of the home screens from one spot rather than adjusting each screen one-by-one. The user interface was Tomahawk Missle fast. I was able to jump from app to app and screen to screen with zero delay. With a 1.5GHz dual-core SnapDragon S3 processor under the hood, it has plenty of power to get things done and it performed well no matter what I threw at it.